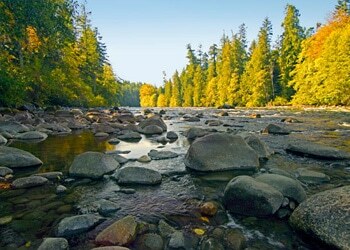 Campbell River, located on Vancouver Island, is a lovely city consisting of a vibrant oceanside community. It has many thriving industries such as construction, aquaculture, forestry, mining and clean energy development to name just a few. Campbell River is also known for its great scenery and several popular movies have been filmed there such as Seven Years in Tibet, Dawn of the Planet of the Apes and The Scarlet Letter. For anyone in the Campbell River, BC area seeking help with securing a mortgage give us a call today at 855-585-2080 and experience the difference! We’re also actively hiring Campbell River area mortgage agents and would love for you to join our enthusiastic team. Visit our mortgage careers page to learn how you can join the successful team at ResCom!